Buffalo + Rochester Indie Weddings: Buffalo Indie Weddings Member Spotlight: Babeville/Asbury Hall ! Buffalo Indie Weddings Member Spotlight: Babeville/Asbury Hall ! "Asbury Hall (1200 capacity) is an open-floor hall with 45-foot-high ceilings, state-of-the-art sound, and balcony seating; the space can be configured in any number of ways to accommodate a wide range of events from weddings and bar mitzvahs to fundraisers to full-on rock shows. " Not to brag... but we hold our events at some of the coolest and most modern wedding venues around! We like character, and personality in the places we party much like brides and grooms for their own weddings! So needless to say we are beyond excited about our event at Asbury Hall! 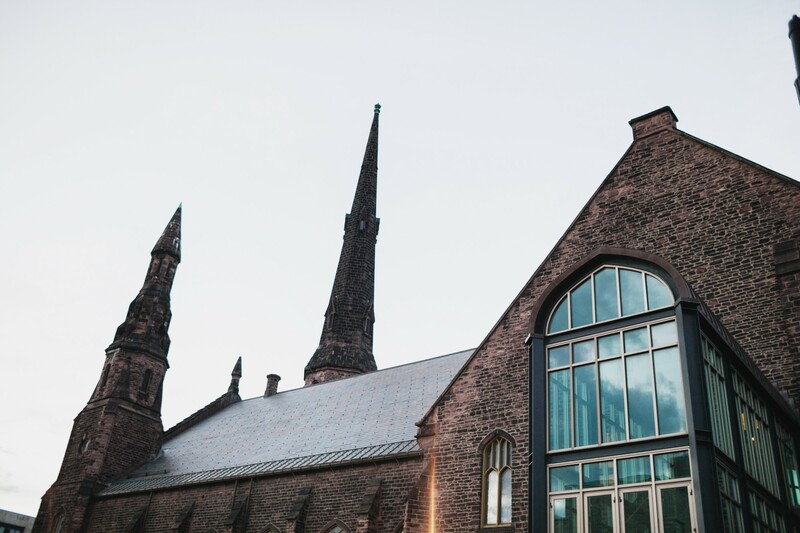 This old Gothic-style church was saved from demolition and revived by singer/song-writer Ani Di Franco. The project lasted over ten years and cost 10 million dollars in total! The outcome is one of the most beautiful and versatile venues in Buffalo! Just wait until we take it over on Sunday and cover it with glitter and sparkles! Stop by to see what this beautiful space has to offer for your event!